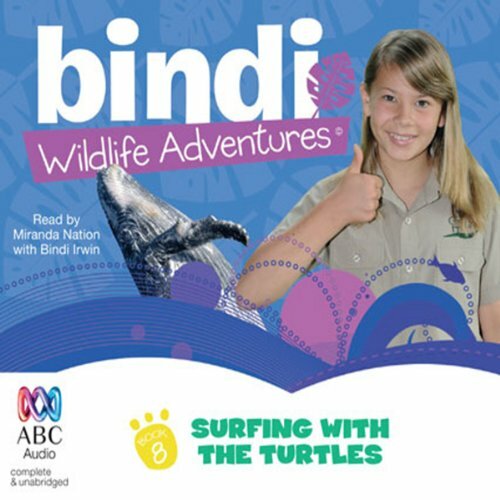 Showing results by narrator "Bindi Irwin"
Bindi and her American friend, Kelly, are on a surfing tour in Mexico and the United States. Totally gnarly! Getting to surf with green sea turtles is a complete thrill. But one of their fellow surfers is acting suspiciously, and Bindi realises that he’s got more than beautiful waves on his mind. Be careful of the wipe-out, dude! 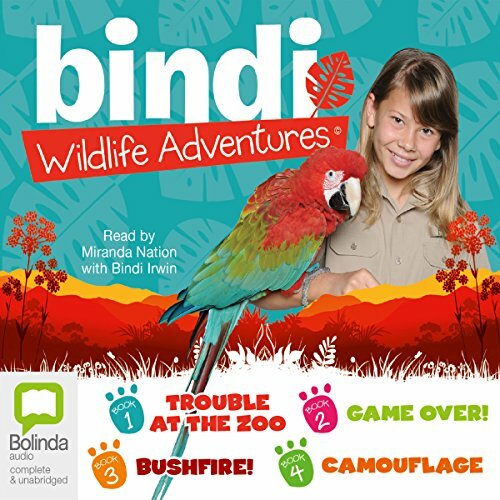 Bindi's birthday party at Australia Zoo is going to be HUGE. But when a spoilt 10-year-old boy decides he wants to take home one of the zoo's precious water dragons, chaos ensues. Later, Bindi and her friend are on a horse-riding trek in South Africa when they discover that the breeding sanctuary for the giant sable antelope is more like a game reserve for tourists with big guns. The Irwins are on their annual crocodile-tagging trip in the Cape York Peninsula, the home of the extraordinary Steve Irwin Wildlife Reserve. 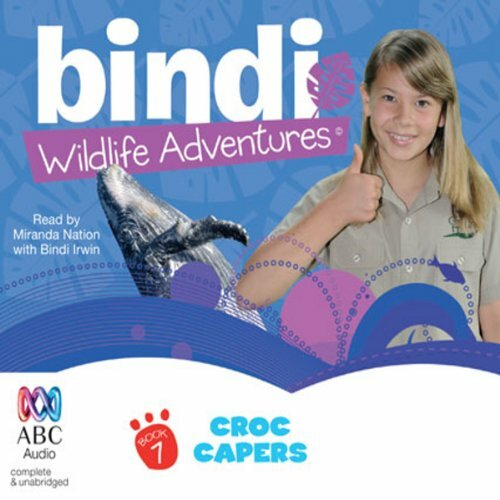 When Bindi and Robert chance upon a campsite set up by a father and daughter behaving like two fish out of water, they set about discovering the real reason behind their trip to the reserve. Bindi takes a pair of troublesome English twins out for a whale-watching trip. But when one of the twins spots an emergency flare, they race to the scene of a boating accident, only to notice an oil spill, which may jeopardise marine life for hundreds of kilometres! Bindi, Robert, and Terri are on their way to Sumatra to collect three gorgeous tiger cubs to take back with them to Australia Zoo. Soon after, Bindi and her new friend Madi get involved in tracking down a gang of tiger poachers.